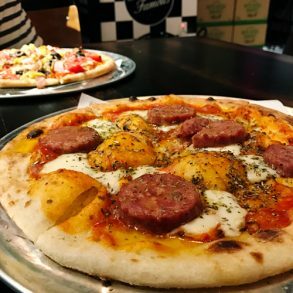 After Foodcraft Espresso & Bakery‘s viral doughnut-on-a-shake, the owners have opened Tella Balls. It is the hottest thing to hit the suburbs with a constant queue to rival Messina in Surry Hills. 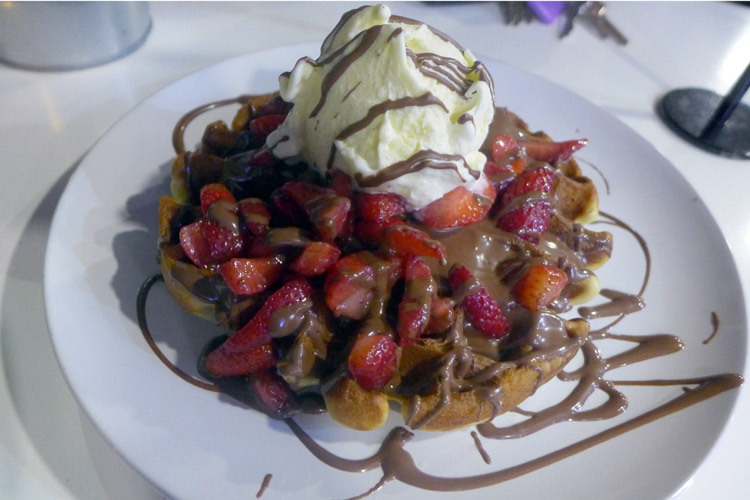 The main concept of this dessert cafe/patisserie is to offer all your favourite desserts in Nutella flavour. The shake itself is a simple milkshake with Nutella mixed into it. It was a light shake (similar to a Big M). My guess: it is light to counter the richness of the Tella Ball. You would have guessed it, the shake was mediocre at best. 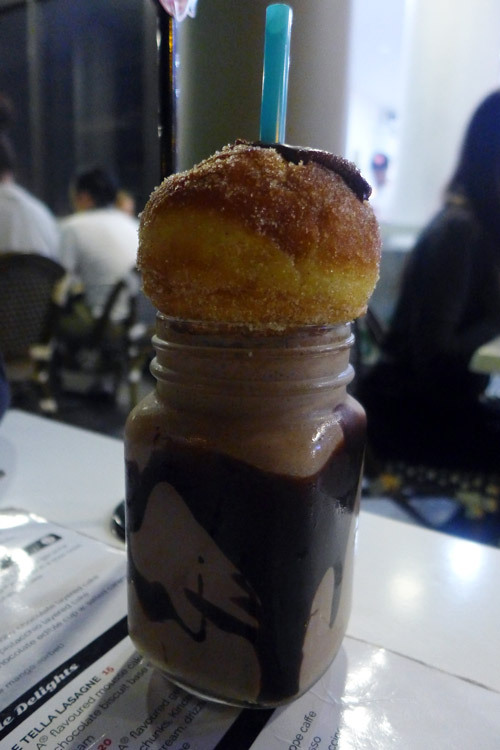 Since the straw is pocked through the donut, just beware not to choke on the incoming Nutella dart. What is a Tella Ball? 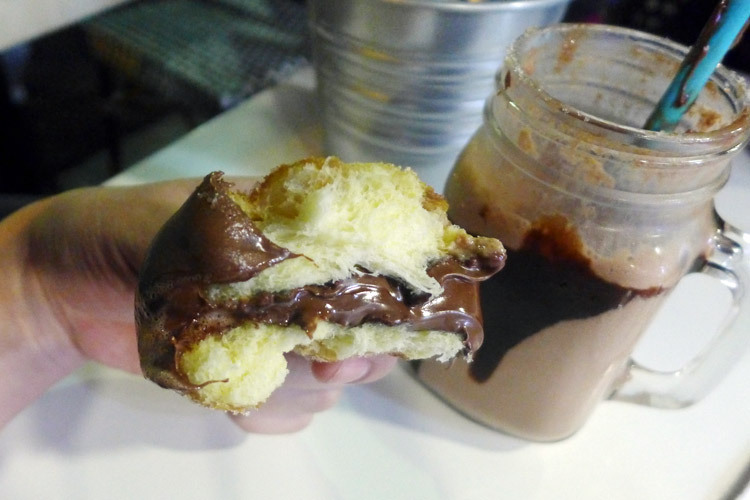 The donut itself seemed like a sugar coated brioche bun with a rich Nutella injection. The dough was good: fluffy and buttery with a well-informed ratio of Nutella inside. There were no fireworks but it was a good product. The dough contracted on the bite, becoming more chewy while the nutella flavour overtook the palette. In terms of total offering, the menu is huge! Literally an A3 sized double-sided sheet with a great variety of items. Everything from Nutella (mousse) tiramisu to a trio of Ferrero ice-cream to more classic items such as crepes, pancakes and waffles were available. 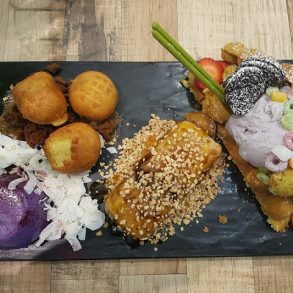 The waffles were a fair comparison tool as this is the common dish among its competitors Max Brenner, Oliver Brown and The Choc Pot. The waffles were served steaming hot, that was a first. It seemed to be straight out off the waffle press. Despite being freshly made, they aren’t the best waffles out there. The waffles had that home-made feel meaning a little too dense and slightly overcooked. 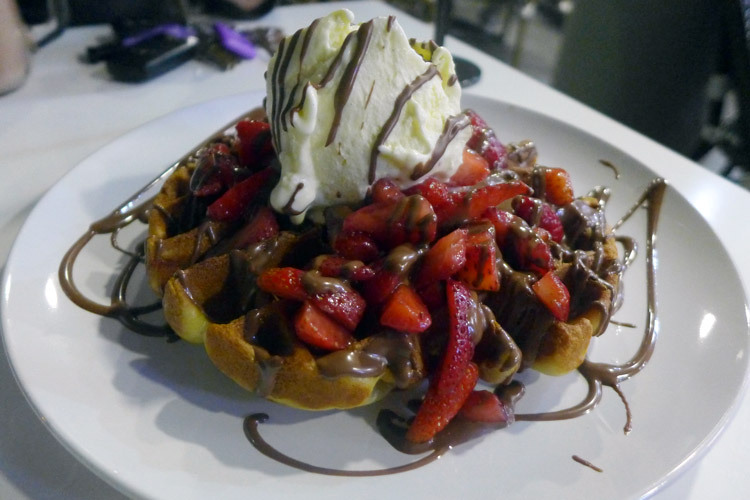 The waffle itself was huge, equivalent to two from Max Brenner. The waffle at The Choc Pot is still better. The flavours were simply: well, Nutella, strawberry and vanilla, no suprises. I am a big fan of Nutella but chocolate waffles just taste better. 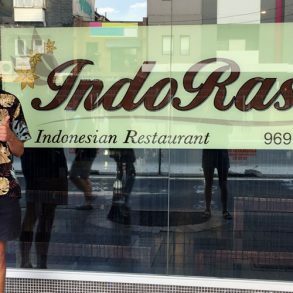 Another store that is victim of its own hype (with angry diners waiting and leaving disappointed). It’s partly the media’s fault, what’s so special about a donut on a shake? Nothing! It isn’t a new technique, flavour or clever recipe. 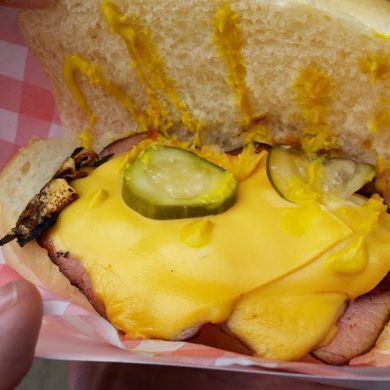 It was conceived just to look good on camera. 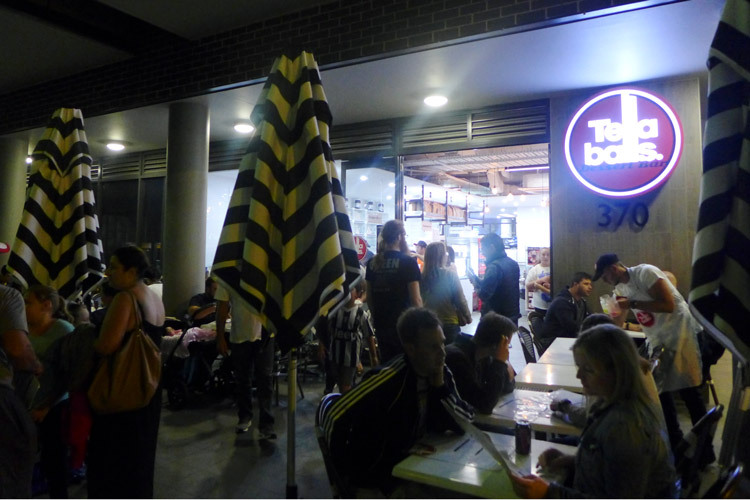 Tella Balls as a business have followed the same trend, a place that looks good on paper but you will most likely be left disappointed in terms of creativity and flavour. Some items are slightly overpriced for a suburban eatery however you can’t complain too much about the size of the servings. Most dishes have to be shared. Nutella-lovers should try this place at least once. 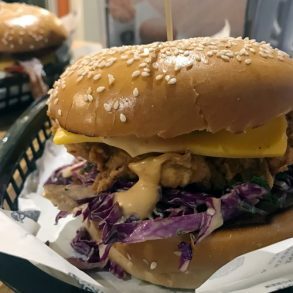 Thanks for keeping it real – I stumbled onto your blog a few weeks ago and really appreciate how you see through the hype unlike most food bloggers. I’ve been to too many instagrammed places and left disappointed!